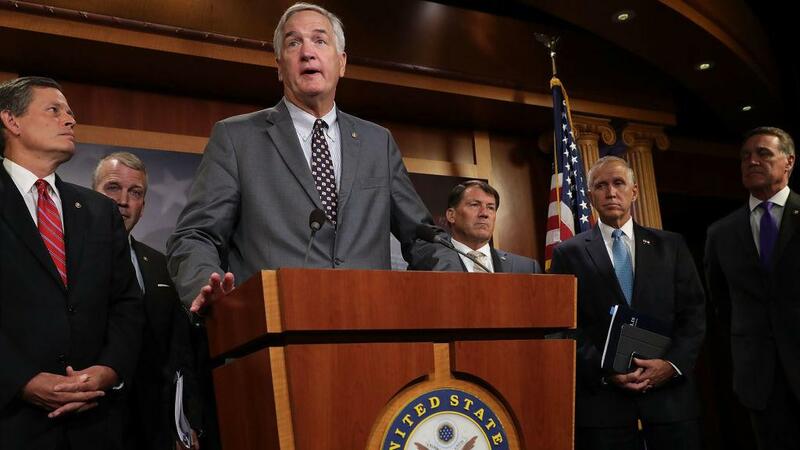 Sen. Luther Strange, R-Ala., has been endorsed by Senate Majority Leader Mitch McConnell and President Trump ahead of Tuesday's GOP special Senate primary. Jimmy Carter sings the praises of Democratic gubernatorial candidate Stacey Abrams; but then says it wasn’t an endorsement and that he will back whoever wins the Democratic nomination. At an event here in Georgia, GOP candidate for governor Michael Williams wins the endorsement of staunch Trump supporter Roger Stone. Political Rewind for Friday August 11, 2017. The Alabama special election to replace Jeff Sessions in the U.S. Senate becomes a battle to test the popularity of President Trump and of Majority Leader Mitch McConnell. Trump doubles down on his threats to take military action against North Korea, and goes on the attack against Mitch McConnell.